The Apple iPhone 5S is a smartphone that many are anticipating with a release expected around September, although nothing is yet official. The wide consensus of tech opinion is that this is likely to be a minor upgrade to the current iPhone 5 and that an iPhone 6 in 2014 will be more major overhaul. However, we feel that if Apple releases the iPhone 5S with no real innovative developments this could cause insurrection, as plenty of us are hoping for something much more groundbreaking. There are signs that the iPhone 5S in on its way in the next few months. At the weekend we informed readers that some retailers such as Walmart and AT&T are already starting to offer discounts on the iPhone 5, which looks very much like inventory clearance. As far as specs for the next iPhone are concerned, it will run iOS 7 and there have been rumors of a 13-megapixel rear camera, improved processor, and possibly an inclusion of a fingerprint scanner, although this could be for the iPhone 6 next year. The latest leak also suggests dual-LED flash for the iPhone 5S, but this seems like a drop in the ocean compared to what potential iPhone 5S customers are hoping for. Where is the innovation for the iPhone 5S? We have heard all sorts of possibilities including more color variety, rumors of a budget iPhone, and a larger display, but recent leaked components and prototype images suggest a build for the next iPhone that is very similar to the current iPhone 5. Of course, we have no way of verifying these widely-reported leaked details but they often turn out to be accurate, the closer we get to the launch of a device. We recently posted an article asking if Apple shouldn’t just skip the iPhone 5S if it offers nothing much that is new, and instead release an iPhone 6 , with a complete revamp, new look and cutting-edge specs. It was clear from the numerous comments we received on this that many readers feel Apple has lost its edge regarding innovation. 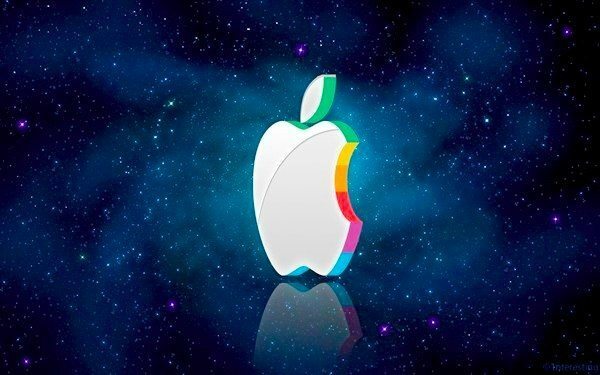 It has become clear to us that many people are looking for Apple to regain its inspiration, and the company has clearly gone some way towards that with its recent introduction of the upcoming iOS 7 operating system. Much more needs to be done though to avoid the iPhone becoming stale and tired, and if the iPhone 5S turns out to be much the same as the iPhone 5, this could cause a minor mutiny among device enthusiasts. The next iPhone will still sell in huge numbers, as so many people are loyal to the platform. This is not good reason enough though, for Apple to stop being the innovative company it once was. Some people certainly now seem to feel that Apple is resting on its laurels and needs to rediscover some oomph in order to revive its reputation for innovation. This isn’t something that we feel is out of reach, and it’s certainly the case that a new iPhone with a pioneering design and trailblazing specs is still within Apple’s grasp. However, it looks unlikely that this will be something we’ll see with the next iPhone, and we wonder how readers feel about this? Are you an Apple and iPhone enthusiast and if so, are you looking for Apple to offer something completely different with the iPhone 5S? Maybe you’d be happy for a minor upgrade this time around as long as Apple ups its game for next year’s iPhone? Perhaps you’ve previously been an iPhone fan but have jumped ship to an Android device (or are considering it), as you feel the Android platform is the more leading edge? We’re really interested in your thoughts on this, so why not have your say by sending us your comments.